Generally, on Thursdays, I do a check-in post to see what’s come up for you since the previous post. I’ve received some messages that have compelled me to share this with you instead. I’ll check in with you at the end to see what this week’s post on strength brought up for you. I grew up amazed by how my mom was so incredible. She worked, took care of my brother and I, always had the house in order, made it look easy, and had such a good attitude about it. Between work and church, she was on the go all of the time. She was the bar by which I measured myself by. When I became a mom, I felt like a fish out of water. In the beginning, I was patient with myself because I was learning. Yet as time went on, I grew frustrated with myself and became overwhelmed. I really struggled to have it all together all of the time. Not the appearance of having it all together but actually having it all together. The only way I could do it was by sacrificing myself. I learned that by passing up on time for myself, I was able to get more done. I thought my job was to cater to my family at all costs, even if it included me. I finally figured out how my mom did it all, by not doing anything for herself. I sat down and tried to remember a time that my mom did something just because she enjoyed it. I tried to pinpoint a hobby she had or something she did in her spare time that didn’t include the people who depended on her. The thing is, I came up empty. I couldn’t think of anything I saw her do for herself. As incredible as she’s been as a mom, I realized I couldn’t measure up because I didn’t want to be that type of mom. I didn’t want to be that type of woman. I didn’t want to handle it all at the cost of losing myself any further. Not taking time for myself took its toll on me. My emotional health suffered as did my mental health. I stopped feeling like a person and felt more like a personal assistant in my own life. I went around catering to everyone’s needs without considering my own. Granted, it took a breakdown 6 years into the path of self-sacrificing for me to realize it but I got it eventually. I didn’t want to be the woman I thought I had to be or society showed me I was supposed to be. I have a confession to make. I can’t do it all on my own, and that’s ok. I never want to give off the impression that I’m handling everything perfectly all of the time. That’s not the truth and it’s not the perception I try to give off. I will always be candid in sharing that if you see me handling three things impressively, there are three times as many that I’m dropping the ball on. Sometimes I plan ahead and have someone there to catch the balls, sometimes I just have to choose the ones that are most important and let the others fall. I’ve had to learn to ask for help and accept it. I’ve had to learn that sometimes it’s better for things to be done than for them to be done by me. I have no shame in saying that I need help. In fact, the reason that I can help women is because I’ve learned how to receive it! Not asking for help doesn’t make you strong, it’s knowing when you need to ask for it and accepting it that does! Asking for help is hard and vulnerable especially at first. It can make you feel exposed but doing it anyway means you’re exercising courage. It takes a lot for a strong woman to say she needs something from someone else. We praise the woman who does it all on her own all of the time at the cost of herself. But how much stronger would she be if she knew when to ask for help and accept it? How much more powerful would she be if she invested time and energy in herself? You see a powerful woman knows how to rest and care for her body. She knows how to make time for herself to nurture her soul. She knows how to tend to others while also tending to herself. She knows that being at her best means that she can better serve those around her. This is the strong woman we should celebrate. This is the strength we want to demonstrate for our daughters because they are watching and learning. I want to rewrite the narrative and unwritten definition of the strong woman as we know it today. I can’t do it by myself we have to come together as women and say enough. Gone are the days of sacrificing who we are for the sake of being it all. No more catering to others to the extent we neglect ourselves. No more keeping up appearances while we feel lost and broken inside. No longer taking on more when we already have too much on our plates. No longer hiding our tears in the shower. No more showing the generations to come that there is honor in being strong at all costs, including ourselves. Because it’s that strength that has killed the hearts, will, and purpose of many women. Our strength is in our wisdom, in knowing how to create healthy boundaries, delegate, and ask for help. I’m grateful my mom has been that person I can reach out to. As I’ve grown into my womanhood and confided in her she’s also confided in me. She’s given me permission to share that it was very difficult for her and it did come with a heavy price. That’s not the example she meant to set and she doesn’t want that for me. She’s always there to be a listening ear and voice of wisdom. She’s happy that I’ve learned how to set healthy boundaries and that I am so passionate about helping other women do the same. I believe it’s important that we share our story and experience because we never know how it will impact others. If you don’t have someone you can go to, I encourage you to join the sisterhood. 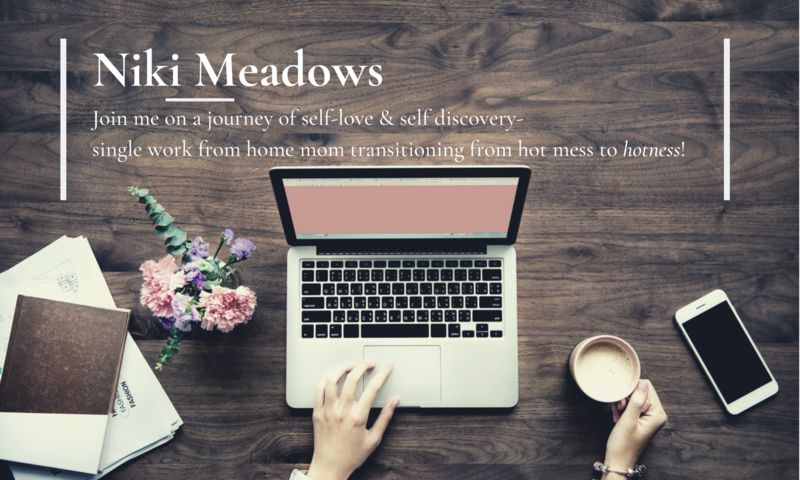 It’s a closed online group where you can connect with other women and share your experience. Ask questions and lean on women from all walks of life and levels of life experience. Together we are stronger. This was longer than I anticipated but it came straight from my heart. If you missed the last post, you can see it here. I’d love to know what you discovered about yourself either from this post or Tuesday’s post. Feel free to share your thoughts and experience. Thank you so much for reading.